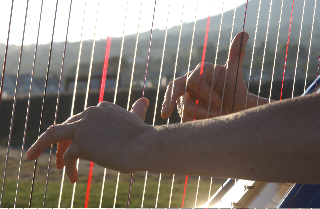 I’m often asked by couples to arrange a favourite song so it can be played on the harp. As composing and arranging is my thing, having a concert harp to work with makes it easier. But I’ve also had some unexpectedly nice surprises like Verve’s “Bittersweet Symphony” and Metallica’s “Nothing Else Matters”. All in a day’s work for this arranger.